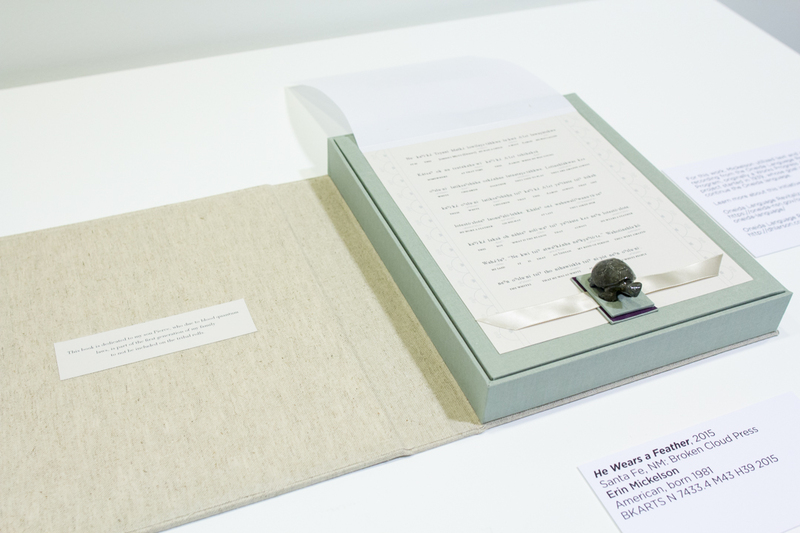 Recently, the Dorothy Stimson Bullitt Library acquired two works by book artist, designer, and member of the Oneida Nation Erin Mickelson. 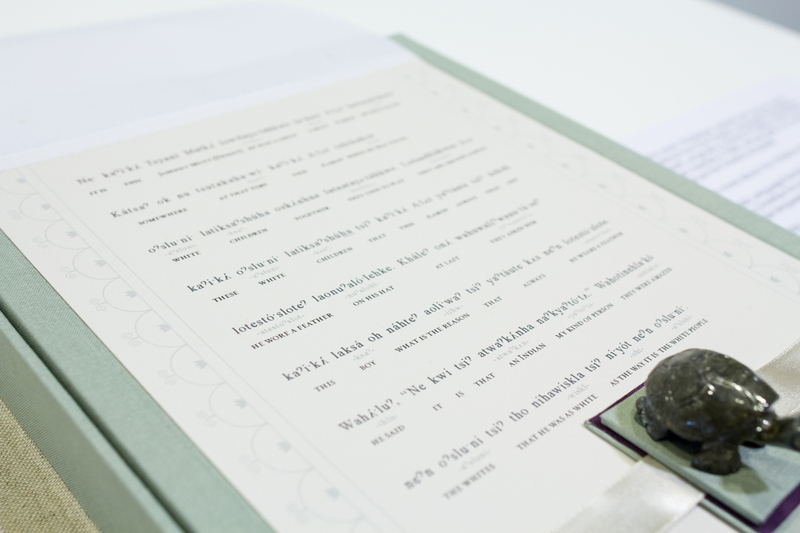 Mickelson’s work is often about language, particularly translation. Sometimes her work is as straightforward as a translation from one language to another, but often she attempts to translate an idea between seemingly disparate forms—language, image, code, and movement. You can see Mickelson’s works in person in the reception area just outside of the Bullitt Library on SAM’s 5th floor until Double Exposure: Edward S. Curtis, Marianne Nicholson, Tracey Rector, Will Wilson closes on September 9, 2018. 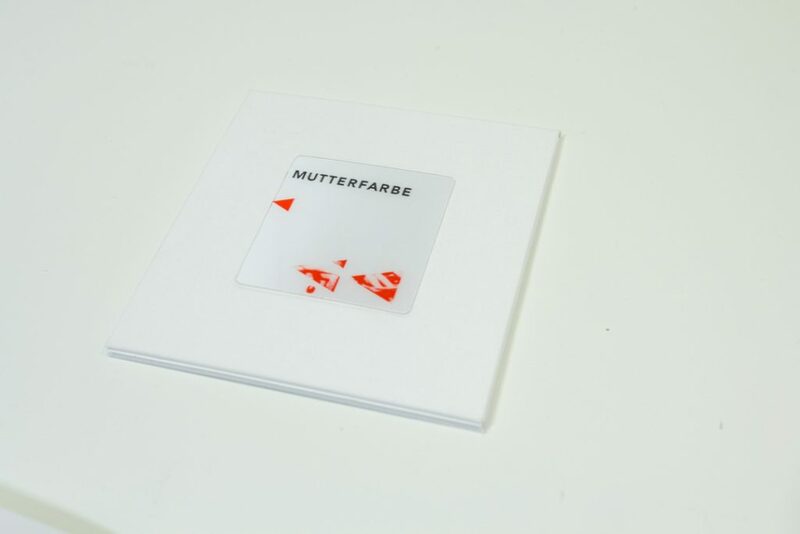 Mutterfarbe, published in 2017 by Broken Cloud Press (Santa Fe, NM), the imprint of Mickelson, is a limited-edition artist-book collaboration between poet, translator, and visual artist Brandi Katherine Herrera and Mickelson. The work, which uses Johann Wolfgang von Goethe’s seminal work Zur Farbenlehre (Theory of Colors, 1810) as its primary source, features experimental text, visual translations, and poems. The work includes three sections, plus front matter and back matter. In the first section, Natürlicher, sixteen color swatches sourced from photographs of Herrera’s environment are accompanied by poems whose words are drawn from translations of Goethe’s text. 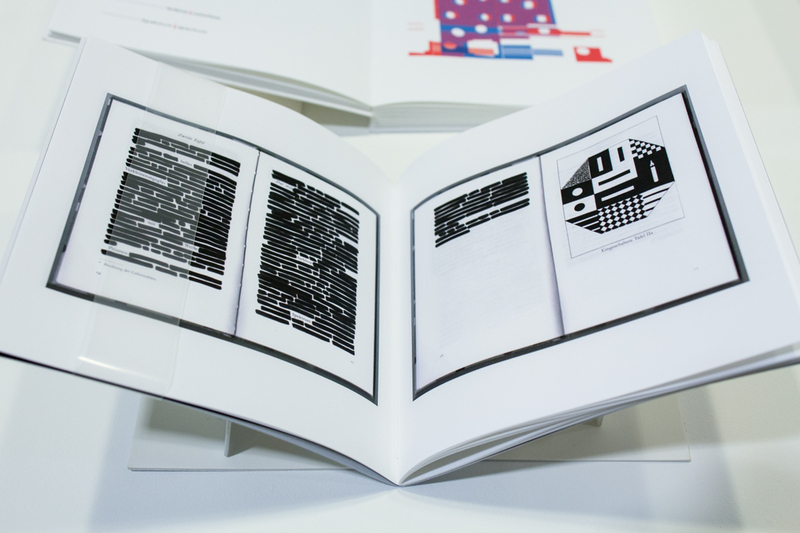 The second section, Ursprünglicher, includes erasure poems by Herrera with “visual translations” of Goethe’s illustrations by Mickelson. The third section, Farbe Gespräch, is an imagined text conversation between Herrera and Goethe regarding the surrealist film, The Holy Mountain (directed by Alejandro Jodorowsky, 1973) using contemporary language, texting, and the Google Translate app. Mickelson sources the illustrations in this section directly from screenshots of the film, rendering them in the sixteen colors used throughout the work. This particular section utilizes a leporello structure, creating an accordion-like fold, and can extend to thirteen feet wide. 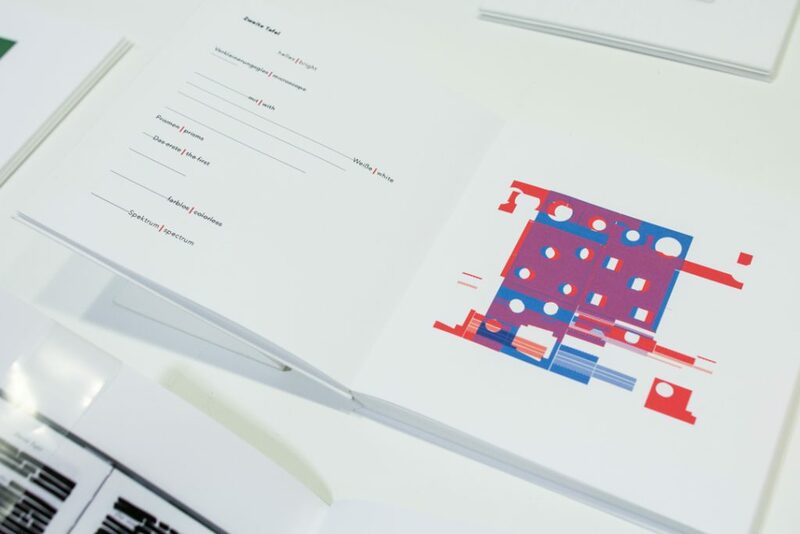 The front matter includes a unique lenticular print, a technology that creates a three-dimensional effect. 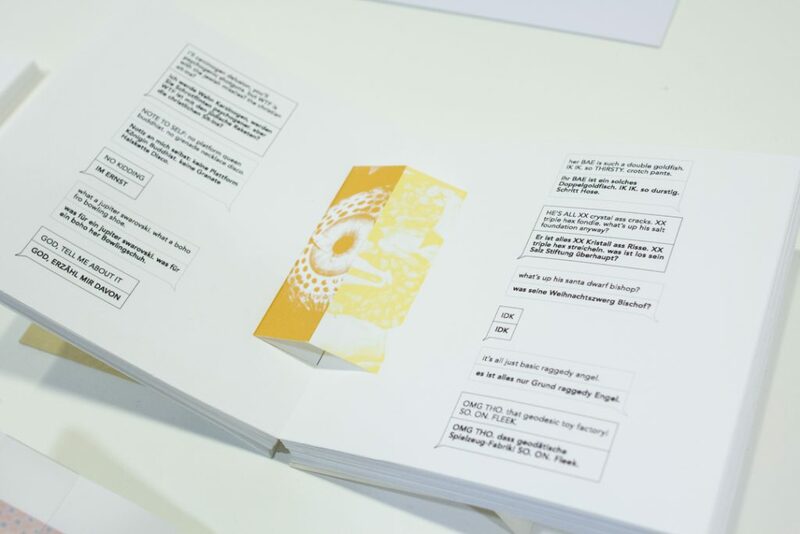 The three pamphlet-stitched books (Anhang I–III) that make up the back matter feature a translator’s note, color source photographs, scans of the original text erasures, and the translation of Zur Farbenlehre. Mickelson and Herrera worked with Zachary Schomburg to create this informative video which helps us understand the many parts of this fascinating work. He Wears a Feather (2015) demonstrates a move for Mickelson toward more socially and politically informed work. It is also a work inspired by a deep and personal topic: controversial blood quantum laws dictate that the artist’s son be excluded from the Oneida Nation’s tribal rolls—the first generation of Mickelson’s family. 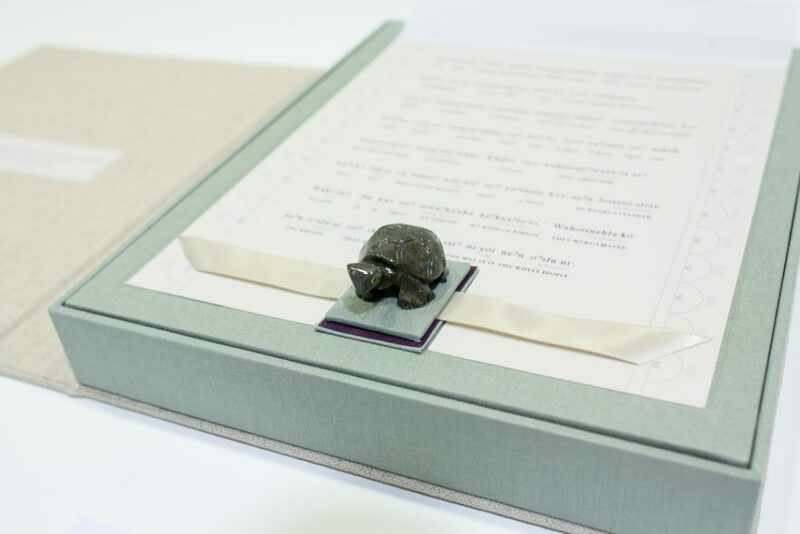 The work takes the form of a drop-spine box and includes an electronic sound module that, when the soapstone turtle is removed and the module is exposed to light, allows the reader to hear the book’s text being read aloud. Mickelson utilized text and an audio recording from the Oneida Language Revitalization Program, originally a Works Progress Administration project started in 1939, whose goal is to preserve and continue the Oneida language. Learn more about this initiative by visiting: The Oneida Language Revitalization Program’s Website and The Oneida Language Revitalization Program: A History Website. 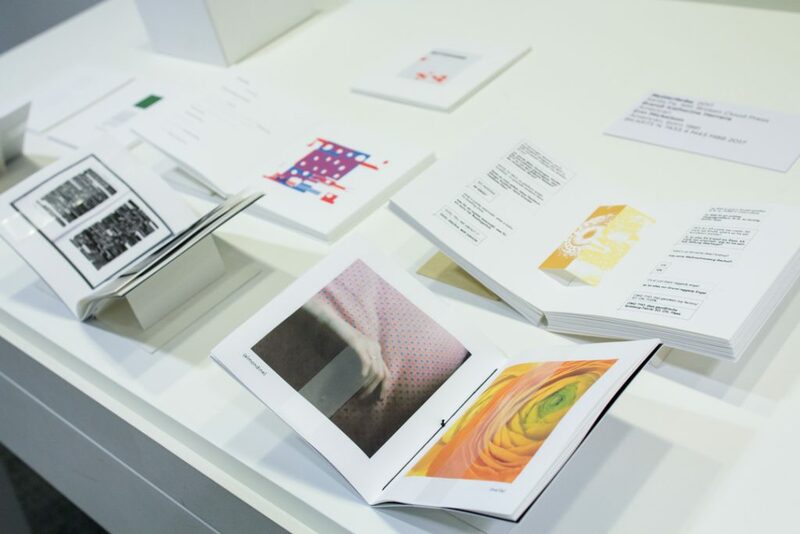 To get a closer look at these works, or other works in our Book Arts Collection, make an appointment to visit the Bullitt Library. Appointments can typically be scheduled Wednesday–Friday, 10 am–4 pm.